You've heard it a million times before — the iPhone may be coming to Verizon Wireless. But now, two separate reports are giving some heft to the notion. The first is based on AT&T's quarterly filing with the Securities & Exchange Commission, in which the company talks about reducing its dependence on "any single handset," with carrier's exclusivity arrangement with Apple in the United States due to end sometime in 2012. The second is from a TechCrunch report which says that "sources with knowledge of this entire situation" say that Apple has submitted orders for Qualcomm CDMA chipsets "for a Verizon iPhone run due in December. This production run would likely be for a January launch." The iPhone, which came out in 2007, runs on AT&T's GSM network; CDMA, another standard, is used by Verizon Wireless and Sprint. However, both AT&T and Verizon Wireless are moving to a fourth-generation wireless standard known as LTE in the next year, although that rollout will take a few years to complete. In its SEC filing, AT&T noted its need to branch out even more with its offerings — and AT&T CEO Ralph de la Vega helped unveil Research In Motion's newest BlackBerry, the Torch, last week. "We offer a large variety of handsets, including at least 18 smart phones (including Apple iPhones, our most popular models) with advanced operating systems from at least 7 manufacturers," AT&T said in the quarterly filing. The company went on to outline the need for a "wide variety of handsets" to reduce "dependence on any single handset ... In addition, offering a number of attractive handsets on an exclusive basis distinguishes us from our competitors. As these exclusivity arrangements end, we expect to continue to offer such handsets ... and we believe our service plan offerings will help to retain our customers by providing incentives not to move to a new carrier." AT&T's network has been struggling under the weight of data traffic from the iPhone, and its voice service has been criticized from the start, with callers complaining of dropped calls and spotty service. The carrier has been working feverishly to improve its existing 3G, or third-generation, network in tandem with planning for 4G. 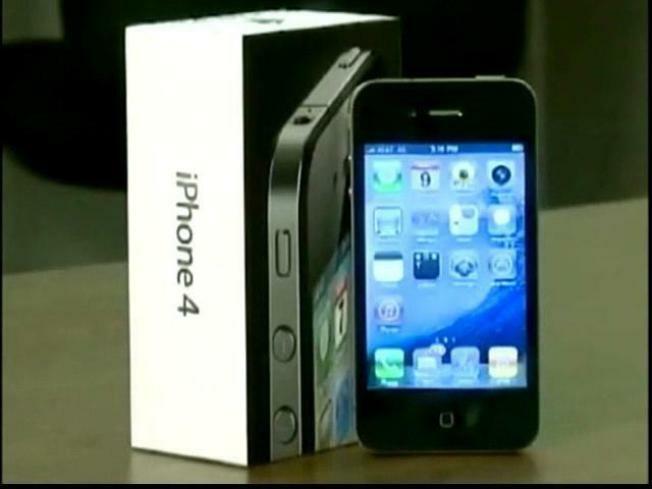 A recent ChangeWave Research survey found that having to use AT&T's service was high on the list of dislikes of iPhone 4 users. "The biggest Achilles’ heel for the iPhone 4 remains AT&T, with 27 percent of owners saying they don’t like the requirement to use AT&T’s network and 24 percent disliking the coverage/ speed/ quality of AT&T’s 3G network," ChangeWave said in a report.